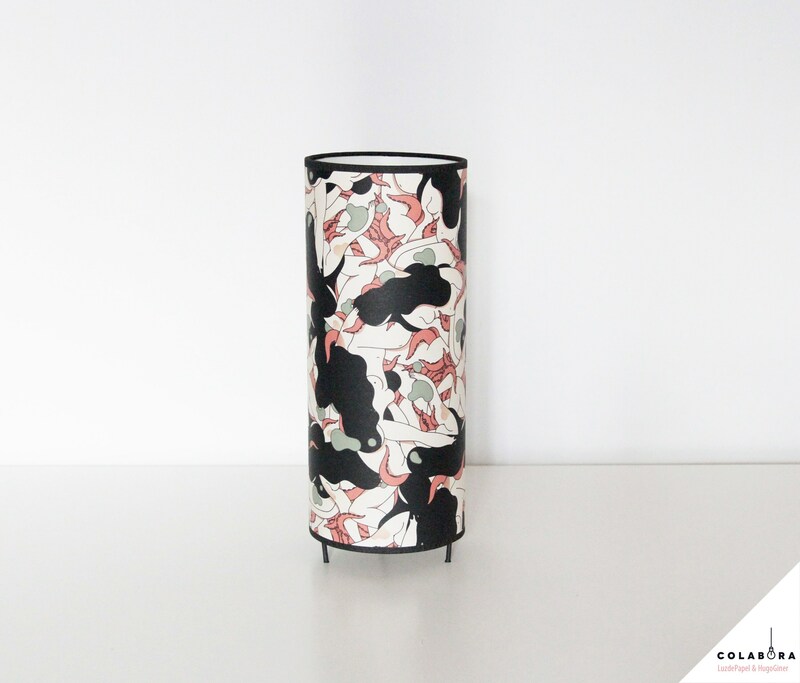 The screen is printed in high quality with a nice design in which we can see an amalgam of women's bodies tangled between tentacles of octopus and other rounded forms forming a sujerente texture of precious colors and shapes. 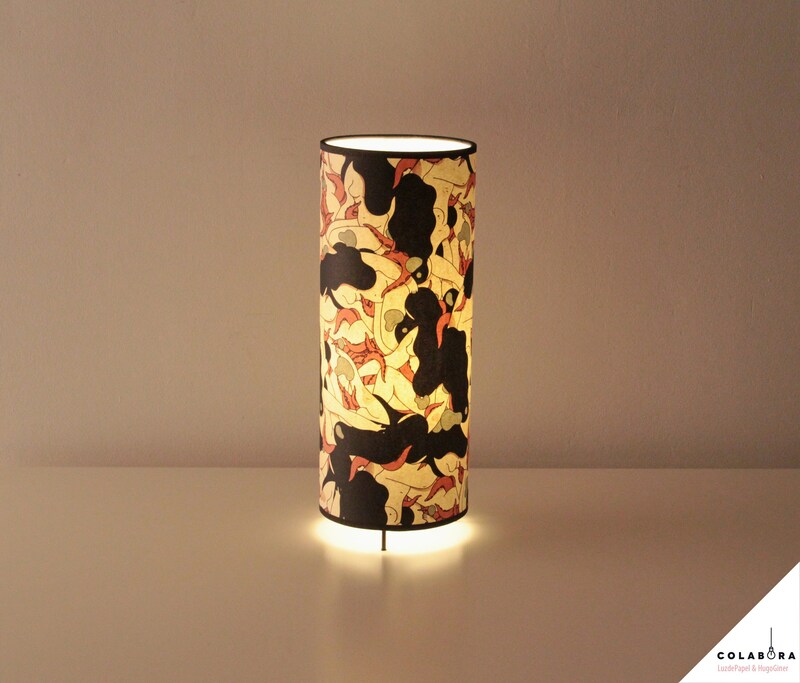 This lamp will be spectacular and will give a warm atmosphere perfect to decorate in restaurants and bars and also in the home. The screen measures 30 cm cm high and 12 cm in diameter with four 2 cm high legs.